After-school, art program at Woodside elementary has started. We are going to travel all around the world, visit all seven continents and create some cool art (while we listen to traditional music). 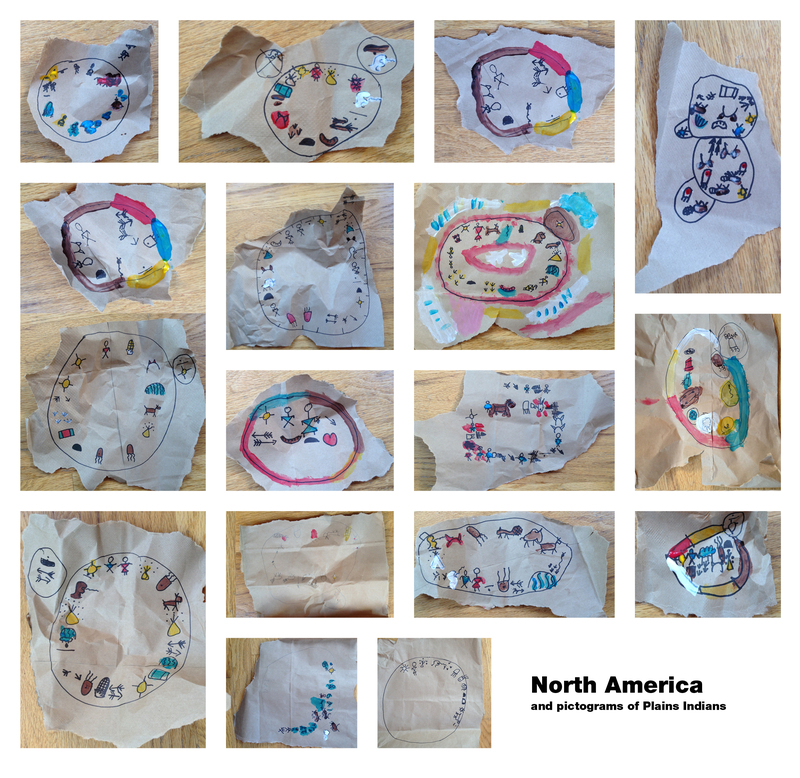 First week was about North America. And since we didn’t have to travel anywhere to get there, we have gone back in time – to the time of Plains Indians. 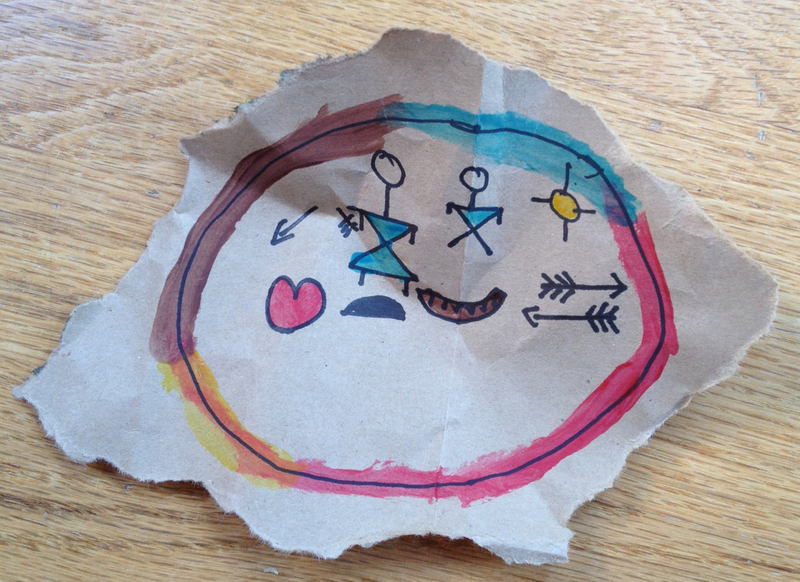 We have learned about pictograms and told our stories on “buffalo hides” (or the next best thing – paper bags). Kids were very excited and their stories ranged from epic battles, funny episodes to love stories and poetry. Here they are, at least some of them. 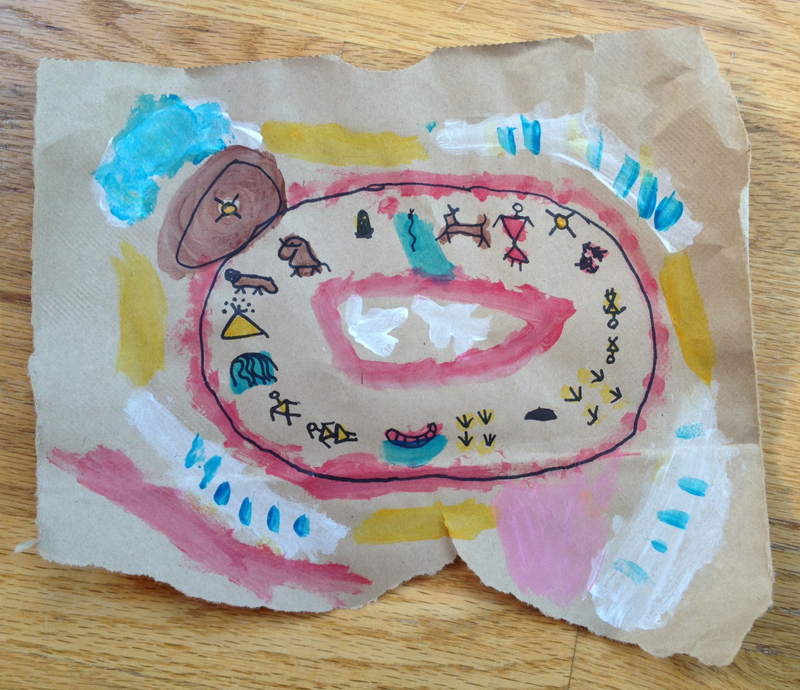 This entry was posted in Art Projects and tagged afterschool, american, art, ArTree, buffalo, education, indians, kids, magazine, native, pictogram, plains. Bookmark the permalink.